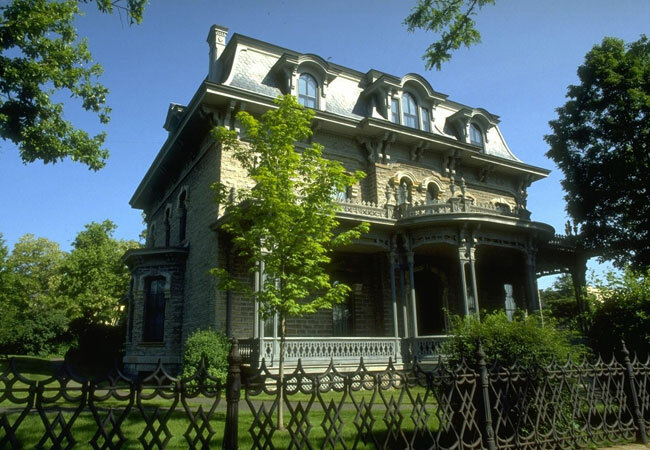 Alexander Ramsey House in St. Paul, an historic site of the Minnesota Historical Society. Two Very Different Historic Houses Ask: We Got the Money–Now What? Diversity and Inclusion: What Does that Really Mean for Museums and Historic Sites? History Rising: The Campaign for Promoting the Value of History Continues (an update on the work of the History Relevance Campaign). Luncheons around special topics, including historic house museums, small museums, and educators and interpreters, are an easy way to meet people who share a similar interest. Plus there are more than a dozen tours that get you out of windowless conferences rooms, including several walking tours of historic architecture and neighborhoods plus a mobile workshop on “New Uses for Old Houses,” which explores new programming at the Alexander Ramsey House, American Swedish Institute, and the Le Duc Estate. Did I mention that Garrison Keillor and Marilyn Carlson Nelson are two featured speakers? Review the conference program for more details (pdf). The cost of travel is probably a bigger hurdle than the conference registration fee so consider attending the online version. Three pre-selected sessions per day will be presented as webinars so you can ask questions and make comments from your home or office. The cost is $110 for individuals; $60 for members (other rates for other membership levels and groups). This entry was posted in Historic preservation, Historical interpretation, History, Resources, Training and tagged American Association for State and Local History, Minnesota on July 8, 2014 by Max van Balgooy.